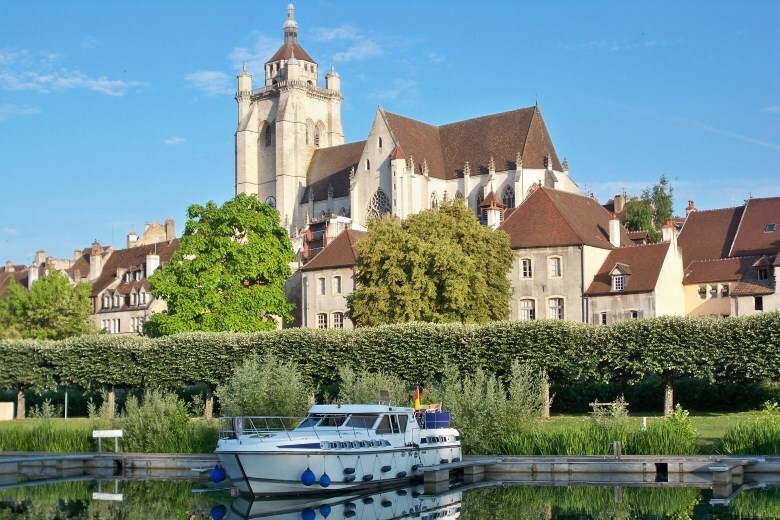 Don't hesitate to contact us by email or call us on +33 (0) 3 85 40 55 50 right now to book your next river cruise in Burgundy-Franche-Comté. Burgundy-Franche-Comté is not the only area available with alpha-croisiere.com. Discover all the other destinations of river cruise that we can rent you. Rent with alpha-croisiere.com your boating holidays to enjoy one of our river and canal boats on Burgundy-France-Comté waterways. We offer the largest selection of barges on the market. Consult the list of all our river and canal boats available in Burgundy-France-Comté to find the most suitable for you and contact us for more information. The Burgundy Franche-Comté region is home to a number of watersheds, its rivers flowing either into the Mediterranean, via the Saône and the Rhône, into the Atlantic via the Loire, into the Channel via the Seine or into the North Sea via the Rhône-Rhine canal and then the Rhine itself. Meander your way along smaller rivers such as the Yonne, the Doubs, the Seille and other more majestic waterways such as the Saône (which is so calm that Julius Caesar is said to have wondered in which direction it was flowing when he saw it for the first time), or along the river Loire or the Seine, not to mention the plethora of lateral canals and connecting channels to choose from. As the centre of the spiritual world with Cluny and Taizé, the centre of the viticultural world with Chardonnay, Gamay, Pommard and Beaune, and the centre of the gastronomic world with restaurants such as Bocuse, Bernard Loiseau and Troisgros, not to mention its Bresse chicken and Charolais beef, Burgundy is practically the centre of the world in geographical terms, too. Just a stone's throw from the Mediterranean, a few hours from Germany and Switzerland and practically a suburb of Paris, this transit region is easily accessible by road, rail, air and even boat. From small, natural rivers to large, calm and majestic rivers, via streams, lateral canals, connecting channels, canal bridges, gullies, tunnels, chains of locks and long sections spanning 120km with no locks, Burgundy Franche-Comté offers a comprehensive overview of what man has invented and constructed over the centuries in his attempts to manage waterways and facilitate river transport by connecting the various basins to one another. Saunter along the bottoms of rich valleys or climb the vine-clad hillsides - it's up to you! 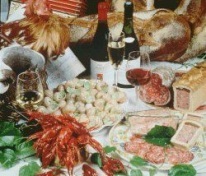 Bresse chicken, Charolais beef, Franche-Comté cheese, Dijon mustard, pike, zander, crayfish and other products sourced from its many rivers, all paired with and accompanied by some of the most prestigious wines in the world, have helped make Burgundy the gastronomic capital that it is today. With an abundance of small and larger restaurants on offer, you will certainly be spoilt for choice. Despite its distance from the major industrial hubs, Burgundy maintains an outward-looking perspective thanks to its many channels of communication and has managed to maintain a rural aspect and preserve its many small towns and villages whilst at the same time developing and acquiring the most modern of facilities. You are guaranteed a warm welcome and will certainly not want for anything during your stay. 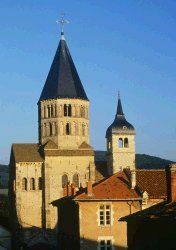 Having no natural boundaries surrounding it, Burgundy has always managed to maintain its outward-looking perspective, which is undoubtedly the reason behind its great wealth; material wealth, certainly, but also spiritual wealth, with the monks of Cluny having built what would become the most powerful Benedictine abbey in the Western world as early as 910. In 1940, Brother Roger founded an ecumenical community in Taizé that would go on to have a global influence, whilst more recently, in 1987, the congregation of Dakchan Kagyu Ling founded Europe's largest Buddhist centre in Burgundy. Having been populated since the dawn of time, the region maintains traces of each of the civilisations that have helped make Burgundy what it is today, from Azé and Solutré, where the first settlements were established, to Alésia and Bibracte, as the home of the Gauls, and Cluny, Cîteaux and Vézelay, one of the departure points for the legendary UNESCO World Heritage-listed St. James's Way. The famous castles to which the region is home have hosted major historic figures, such as Vauban, Colette, Lamartine and Madame de Sévigné, who have left their mark on the Burgundy culture. Set your course along the Doubs for Besançon, take a tour of the city and complete the loop via the tunnel carved under the hill. Dock at the port of Saint Paul and set off in search of the UNESCO World Heritage-listed Vauban citadel before taking a casual stroll through the streets of this City of Art and History and capital of the Franche-Comté region. 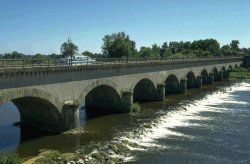 Saint Jean De Losne sits at the intersections of the Rhône Canal and the Rhine, the Marne Canal and the Rhine, and the Burgundy Canal and the Saône and has naturally become France's largest river port. Immerse yourself in the fishing village vibe, and don't forget to try a pochouse (river fish stew) while you're here! The Burgundy canal that links the Saône to the Seine via the Yonne had no choice but to run through Dijon, the capital of the Burgundy region. The city may serve as a useful departure point for wine enthusiasts headed for Gevrey-Chambertin, Vosne-Romanée, Beaune, Pommard or Puligny-Montrachet, but there is certainly more to Dijon than vineyards alone. Visit the Palace of the Dukes of Burgundy, designed by Mansart, along with many other monuments, and be sure to check out one of the 500 restaurants to which the metropolitan area of Dijon is home. 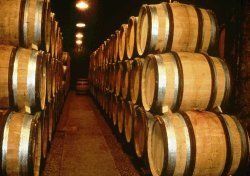 It would be difficult, of course, to talk about Burgundy without mentioning Beaune and its Hospices. Beaune was of course the long-standing home of the Burgundy Parliament before it was transferred to Dijon, and this magnificent city has certainly maintained its past pride in still being the wine-making and gastronomic capital of Burgundy. Louhans, the town of the 157 arches, is the capital of the Bresse Bourguignonne region of Burgundy, boasting culinary specialities that include Bresse chicken and other spring chicken dishes, tête de veau veal broth and frogs. Be sure to catch the Monday-morning agricultural market that has taken place here since the 13th Century. Nevers. A special junction has been created to enable visitors to dock at the foot of this town, which is also part of the national network of Cities of Art and History, before heading off to visit France's oldest pottery works, still in operation today. Just a little further along the river you will come to Plagny - the ideal base from which to visit the nearby Magny Cours racing circuit and the Ligier museum - how's that for a gear change! The eternal city of Vezelay is home to the famous Sainte Marie-Madeleine basilica, a UNESCO-listed Humanity World Heritage Site, and was one of the departure points for those embarking on St. James's Way, itself also a UNESCO World Heritage Site. Gallic capital Lyon, located to the far south of Burgundy, is waiting to welcome you with open arms. 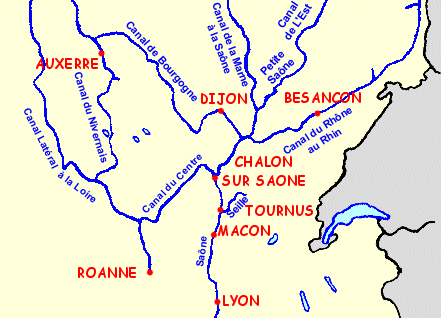 It is commonly said that Lyon is bathed by three rivers - the Saône, the Rhône and the Beaujolais. Lyon is also home to the famous bouchons - traditional Lyonnais restaurants - and traboules - small walkways passing through the city's houses and buildings and providing access to the heart of the old town, renowned for its silk workers and merchants. If nature is more your thing, take a walk along the left bank of the Rhône, which has been superbly developed in the style of a modern agora, to the Parc de la Tête d'Or.